In reality, over 12 candidates for marriage were considered, but this is TV land and there is obviously no need to go through each one. According to the Tudors, one of the first candidates was Marie, the daughter of the French king, Francis I. I had to keep rewinding this scene because I couldn’t understand why Showtime renamed Francis’ daughter “Marie” when her name was Margaret? But it is true that Henry turned down Margaret (shown here) because of her young age. This is ironic considering that he had no qualms about robbing Kathryn Howard’s cradle years later. 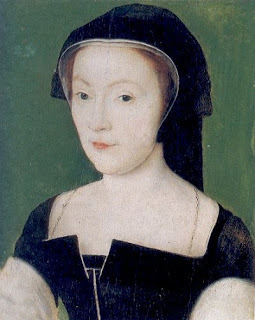 As portrayed in the Tudors, Henry preferred the second French candidate, Mary de Guise (shown here). Mary was a little older, a little more experienced and had a little more junk in her trunk than Margaret. Henry claimed that such a woman was better suited for him because he was “big in person and had need of a big wife.” (1) True…one romantic moment with Henry might crush the average woman, but the real reason Henry wanted Mary was part ego and part politics. Mary was already promised to Henry’s rival, James V of Scotland and this obstacle made her all the more desirable. Henry was adamant about preventing a Franco- Scottish alliance so stealing Mary from James seemed like the gallant thing to do. Unfortunately, Henry’s political cockblocking failed and Mary ended up in a cold, damp castle married to James. 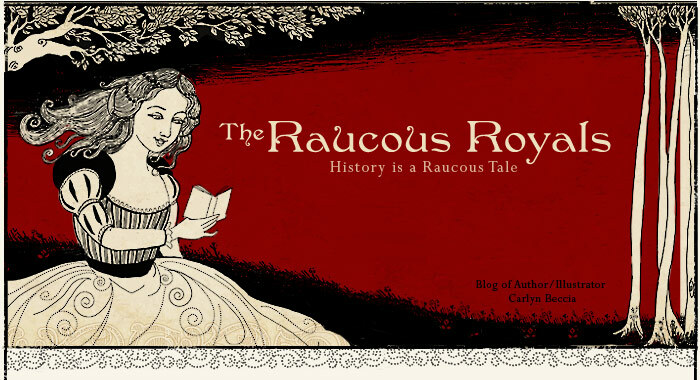 Mary's daughter, Mary Queen of Scots would have her run in with Henry’s daughter, Elizabeth I years later....but that is a story left for another day or another post. After a love match with Mary de Guise failed, Henry considered a match with one of her two sisters, Louise and Renee. Louise was rumored to still be a virgin (a rarity in the French court) so the French ambassador, Castillon suggested that Henry choose her in order to “shape the passage to your measure.” The Tudors uses this quote. After considering many French potential brides, Henry then asked Francis if he could throw a prospective wife beauty pageant and inspect each of the ladies up close. (The talent show would follow.) It was not an unreasonable request for a king to inspect his future wife before committing to marriage. What was a little extreme was to ask to see all of the potential brides at once. (Henry’s was in a bit of a rush to marry) Francis of course refused causing the French ambassador to joke that Henry should instead mount all the ladies like horses and then decide who to marry. (The Tudors uses this quote) The part that is a tad Hollywood was Henry’s reaction to this comment. In the Tudors, Henry yells at the French ambassador in his usual bullish tone. In reality, Henry probably felt a bit shamed by the ambassador’s comment because he nervously laughed along with him. 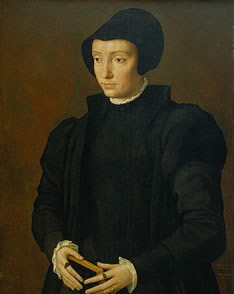 Holbein was commissioned to paint a portrait of Christina (shown here) but Bernard van Orley painted her shortly before him. The Tudors chose to portray van Orley painting Christina and not Holbein probably because van Orley painted Christina in a rich gown instead of her mourning attire. (The mourning attire is kind of dowdy.) In a later scene, The Tudors shows Henry drooling over a really bad sketch of Christina, but in reality Henry fell in love with Holbein’s painting of her. The Tudors also portrayed Christina as not too thrilled to marry a rumored wife-killer and she makes her famed comment, “if I had two heads, one should be at the King of England's disposal.” As discussed in a previous post, Christina never delivered this quick witted insult nor is there any proof that she did not desire the more exalted position as queen of England. She obviously knew that Henry had run through three wives, but Henry’s bad boy reputation probably wasn’t much of a deal breaker. (When is it ever? ) What was a deal breaker was that she was the grand-niece of Catherine of Aragon and therefore in the forbidden degrees of affinity. Henry knew he was not about to be granted a papal dispensation to marry Christina so negotiations stalled. Ironically, Christina went on to marry Francois, Duc de Bar who was originally betrothed to Anne of Cleves. Either way, Henry may have lost the bride, but he kept the painting and cherished it forever. 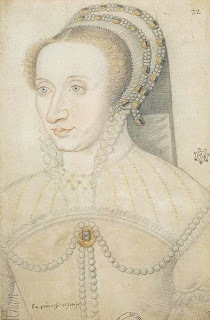 After a series of French and Imperial candidates failed to form a love connection with Henry, he considered a German alliance with one of the daughters of Cleves – Anne or Amelia. According to the Tudors, Cromwell supported this love match because Cleves was part of the Protestant League. Unfortunately, the real history is not so simple. Cleves was not part of the Protestant League, but it bordered some of the most powerful Lutheran states. Ironically, Anne’s mother was Catholic and raised Anne in the same religion. Her father and brother were humanists and followers of Erasmus. 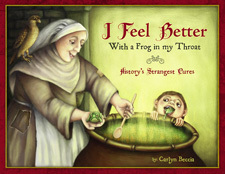 Still, their humanist beliefs did not prevent Cleves from forming Protestant alliances with neighboring states and even marrying their firstborn daughter, Sybille to the Lutheran elector of Saxony. At the time of Henry’s wife hunt, the political landscape was changing rapidly. Francis and Charles V had become fast friends yet again (it wouldn't last). Their alliance put England in a precarious situation because it appeared that they were about to gain up on poor old Hank. Now a daughter of Cleves looked enticing, especially when she came from a small principality that strategically bordered the Hapsburg Netherlands. Cleves also contained well-trained German mercenaries ready to fight at a moment’s notice. (I talked a little bit about these mercenaries on a previous post.) So although the marriage did come with the potential for a strong Protestant alliance, this alliance was based more on political necessity than religious doctrine. A scene follows where Henry wonders if he can trust any of the portraits. Although it depended greatly on the skill of the artist, the purpose of portrait miniature was to obtain an accurate likeness of the sitter. These paintings were never created as idealized representations. Holbein did choose not to show Anne of Cleve’s rumored smallpox scars, but his job as a court painter was to capture realism and Holbein was very good at his job. As customary, Beard and Sutton were sent to Cleves to inspect Henry’s future bride in person. The Tudors shows them meeting with Anne’s brother, William of Cleves, but in reality they met with the Cleves’ minister Olisleger. It is true that the sisters were wearing veils that prevented the ambassadors from seeing their faces. When they objected to the veils, Olisleger replied, ‘would you see them naked?’(3) They later might have wished that they had said yes. The Tudors uses this quote, but has William of Cleves saying it instead of Olisleger. Just when you thought you had seen enough puss oozing out of Henry’s leg wound….we get more gratuitous puss scenes. The Tudors depicts Henry on the brink of death with his council wondering who will become the next ruler. These scenes did play out, but they occurred in the reign of Kathryn Howard. Perhaps we will revisit the putrid leg wound again in season 4 because viewers can’t seem to get enough of Henry’s rotting flesh. Amidst the wife hunting and the puss oozing, the Poles and the Exeters are headed for the executioner’s block. The Tudors does not cover all the people executed during this time. Missing from the bloodbaths are the Marquis of Exeter, Sir Edward Neville and Nicholas Carew. The only Pole to escape Henry’s wrath was Geoffrey Pole because he gave evidence against his family. The Tudors featured Lady Salisbury, Lord Montagu and Montagu’s young son arrested for treason, thrown in the Tower and never given a trial. Montagu and Henry had never got along and as shown in the Tudors, Montagu did make the foolish comment about how the world would celebrate once the king was dead. Not smart. Lord Montagu was found guilty through an act of attainder. Lady Salisbury’s guilt was based on the five wounds of Christ banner found in her coffers connecting her to the Pilgrimage of Grace. As shown in the Tudors, she denied being a traitor to the end and was rumored to put up a pretty good fight with her inexperienced executioner. Some accounts have the executioner literally chasing her around the scaffold while hacking away. (Thankfully, Showtime chose not to get this graphic) The part that is very Hollywood is the timing of Lady Salisbury’s death. In reality, Henry let her rot in the Tower for a few years before executing her in 1541 during the reign of Kathryn Howard. What a guy! Lord Montagu’s young son later died in the Tower. No one knows if he was murdered or if he died of natural causes, but you can bet Henry wasn’t wasting any tears. History is somewhat divided on whether the Exeters and Poles deserved their fate. By 16th century standards, they were traitors. By modern standards, it’s really hard to justify the execution of a 68-year old woman and her pubescent grandson. Meanwhile, Cromwell is feeling the stress of being Henry’s right hand man. According to the Tudors, Cromwell becomes connected to Protestant Reformer and accused heretic, John Lambert who he saved from execution during the reign of Anne Boleyn. In reality, Anne was the main force behind Lambert’s reprieve. Still, there were court factions moving against Cromwell in every direction. Let’s just hope Cromwell is able to make a love match between Anne of Cleves and Henry or heads are going roll. Anne of Cleves makes her appearance next episode. Stay tuned for the next episode of Historical vs. Hollywood…. I'd heard that Montagu's young son died in the Tower, but wasn't the Marquis of Exeter's son, Edward Courtenay, the one who was released with great ceremony by Mary I after she gained the throne? Lord Montagu's son perished in prison. No one really knows when. 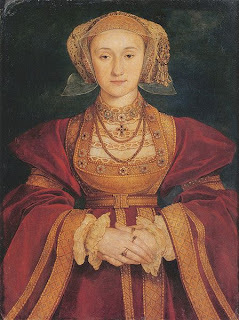 During our recent trip to London we went to the Henry VIII exhibition at the British Library and one of the items is the Holbein miniature of Anne of Cleves. It is exquisite. Hirst has amalgamated a couple of historical characters. First of all, Henry Pole, Lord Montagu did have a son called Henry who was attainted with him but he was 18 years old and disappears from documents soon after his father's execution. Secondly, the Courtenays were also arrested, Mother, Father and son Edward Courtenay,Duke of Devon who was 11 years old at the time. He was imprisoned for 15 years and released on Mary I st's accession..dying when he was 29 yrs old. I really need to break down and pick up the series/premium channel. Daphne - I saw the minitature too. Dam...that Holbein was GOOD! kasandra - the amalgamation of characters is starting to make my head hurt. And it becomes a mess to untangle! I am guessing that it makes sense from a film perspective because you would have too many characters if you didn't combine them. But I sometimes wish that they would just drop some characters instead of combining them. 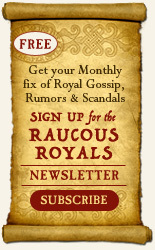 I guess if they showed the real age of Montagu's son (an infant?) than you couldn't have the scenes with the boy acting up.